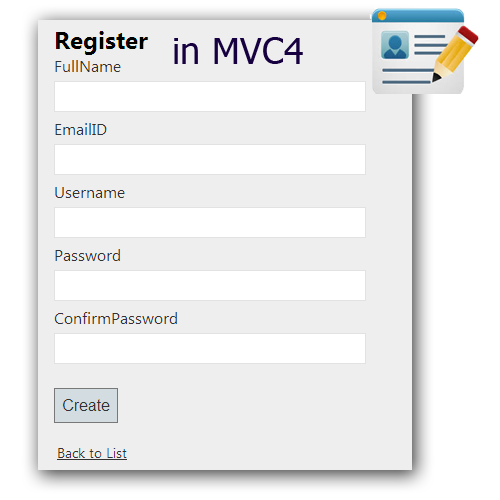 This is the 1st part of this series, where I am going to explain how to create a User Registration page using asp.net MVC. Step-8: Add view for your Action (Register) & design for creating a Register form. Right Click on Action Method (here right click on Register action) > Add View... > Enter View Name > Select View Engine (Razor) > Check "Create a strong-typed view" > Select your model class > Add. If you are working on AngularJS application and wants to create a registration page in angularjs with asp.net mvc as server side, this link will be useful to you how to create simple registration form with validation using angularjs and asp.net mvc.